A sweet surprise for all of your wedding guests! 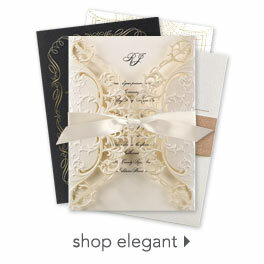 Family and friends will marvel at this beautifully patterned envelope liner featuring your monogram. Pattern is printed in your choice of colors. Your monogram is printed in your choice of colors and fonts. No assembly required. Liners will appear inside the inner envelopes included with your Sweet Surprise wedding invitations. Personalization Options: Background printed as shown. Your initials printed in your choice of color and font. Assembly: No assembly required. Liners will appear inside the envelopes included with your Sweet Surprise wedding invitations.